CLICK HERE to view some 3-D Matterport Samples! Matterport Tours have become an effective way for prospects to take a sneak-peak at your community! And in today's rental market, Matterport Tours have become very cost-effective! Matterport Tours are a must for your leasing toolbox - request pricing today! What if you don't have a furnished model or maybe your units just don't show as well as they once did? In those cases, CLICK HERE for our 3-D Walking Tours designed in AUTO CAD! 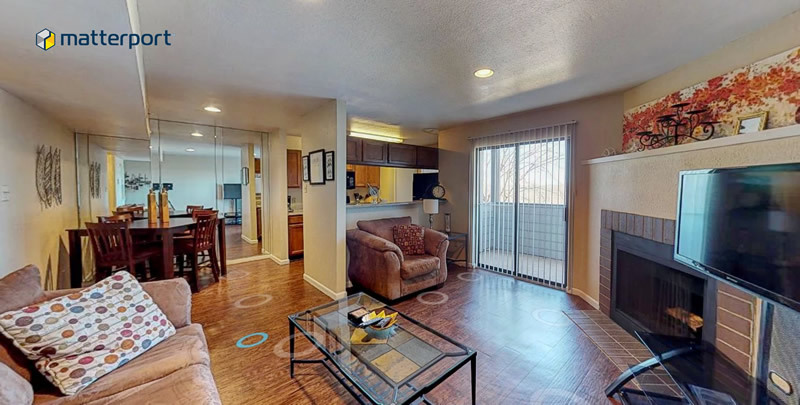 Matterport 3-D Tours offer a 3-Dimensional View of your apartment interiors. Using similar technology as Google Street Maps, Matterport 3-D Tours allow your prospects to take a tour before visiting your community! Matterport 3-D Tours are especially effective when you have a furnished unit that can photographed. However, if occupancy doesn't allow for a furnished model, let Matterport 3-D Tours show your prospects the possibilities!